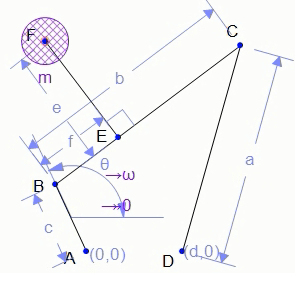 Introducing Math Illustrations, an easy intuitive way to create geometric diagrams for documents and presentations. 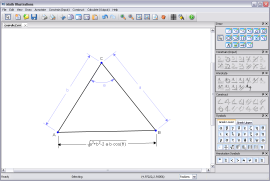 Draw Quickly:Quickly create drawings by using a constraint-based model. 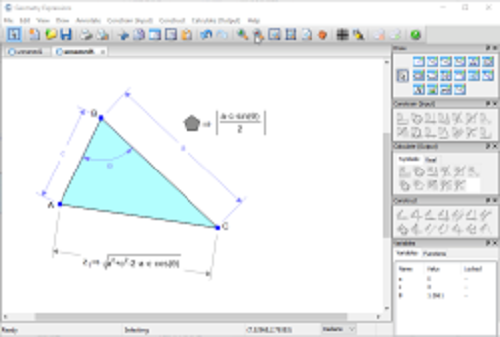 With a single click, add leader lines and dimension arrows to specify lengths, angles, distances and radii. 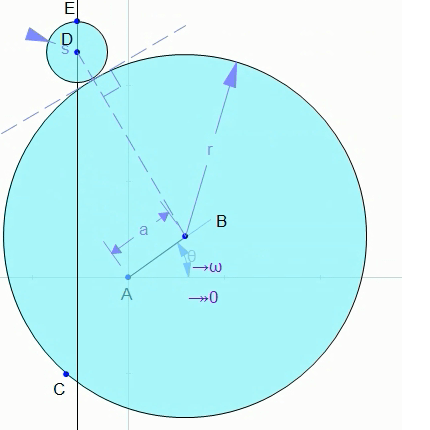 When you create a diagram in Math Illustrations you get all the symbols without any effort! 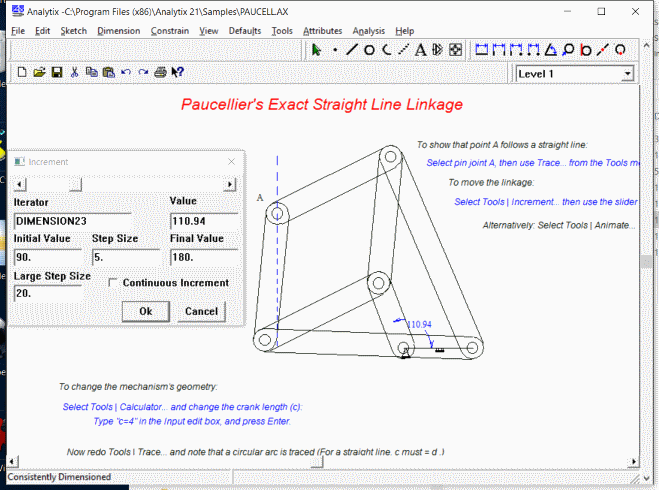 When you constrain or annotate a line, the length symbols is added automatically. 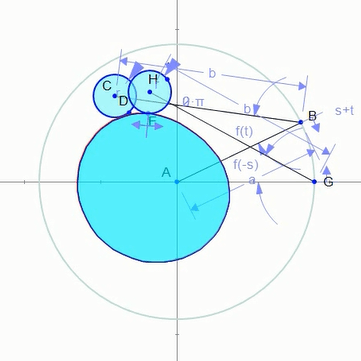 This is true for any annotation or constraint that you add!The Power of Constraints Plus the Flexibility of Annotations When you draw with constraints you don't have to worry about lining up shapes so they appear to have a certain relationship. 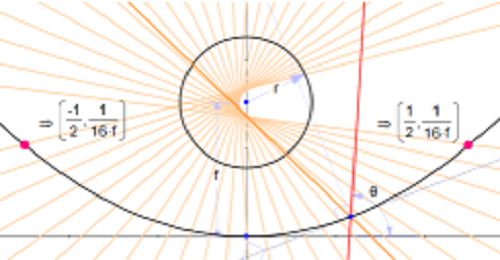 If you want a line tangent to a circle, simply constrain it to be. 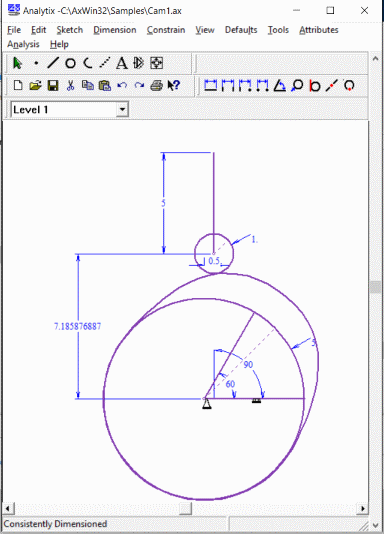 You are then free to move or resize your circle and the line will automatically remain tangent to the circle!When you want to label an angle, length, etc without constraining its value use can use annotations. 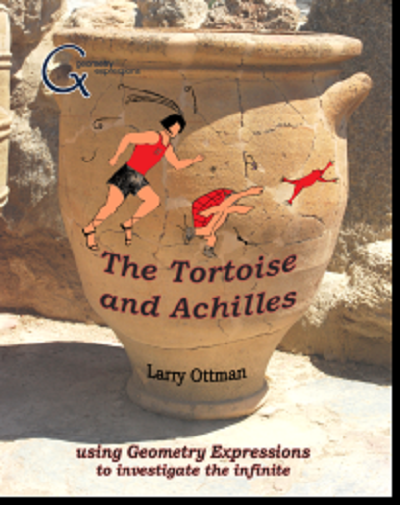 An annotation label can be anything you want -- including a mix of text and 2D math. 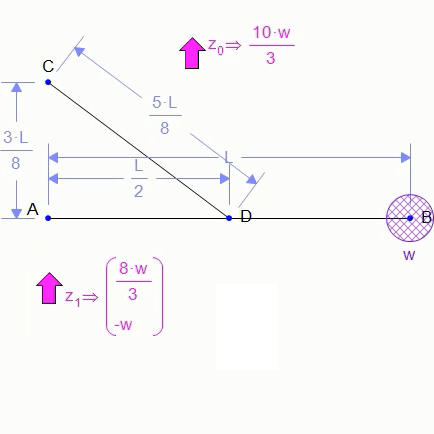 With the help of constraints, drawing figures to scale happens automatically. 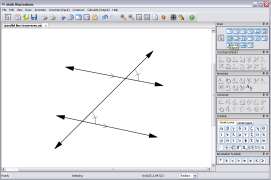 If line AB is constrained to a distance of 4 and line CD to a distance of 8, CD will automatically be twice as long as AB. 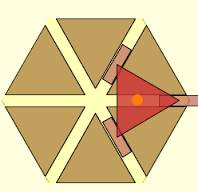 The same is true of angles. 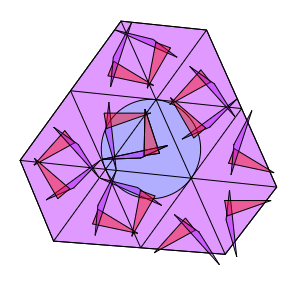 If you want a triangle with angles 30°, 60° and 90° simply constrain two of them (the software will figure out the third). 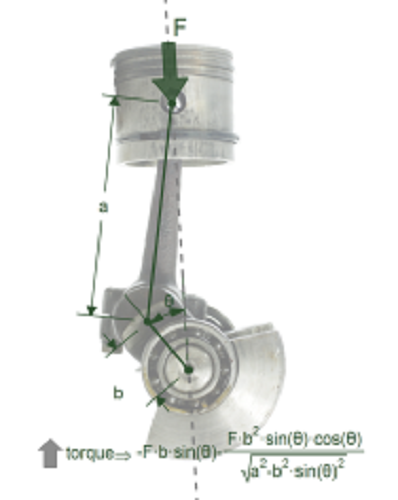 Of course you may want to purposefully draw a figure that is not to scale. 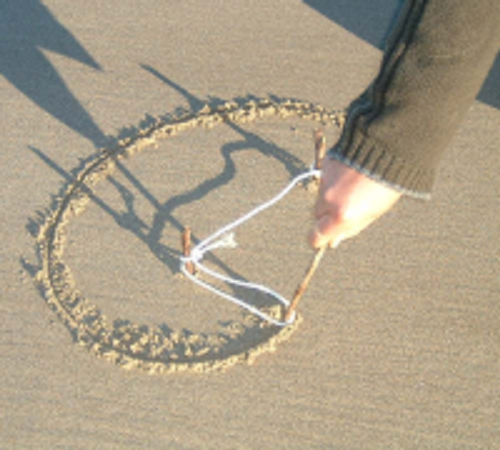 This is where the annotations come in. 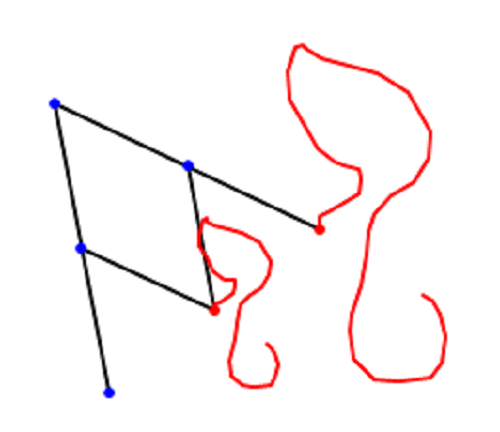 Using annotations instead of constraint you can set a distance or angle to be anything you want! 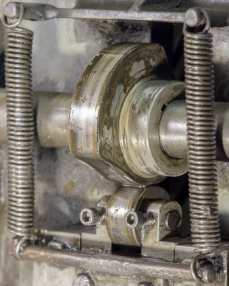 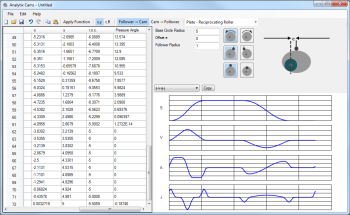 Analytix Cams enables mechanical engineers to quickly synthesize a cam profile given their follower motion requirements. 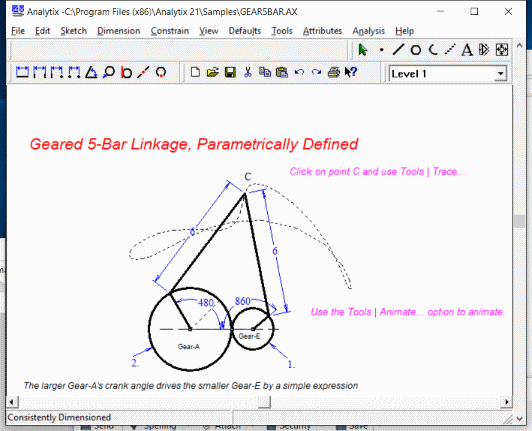 Or...from an existing cam profile, the follower's geometry and kinematics can be quickly designed, fine-tuned and analyzed. 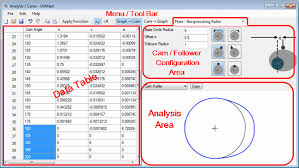 With Analytix simulation software, you can optimize the cam/follower interaction with your mechanical system. 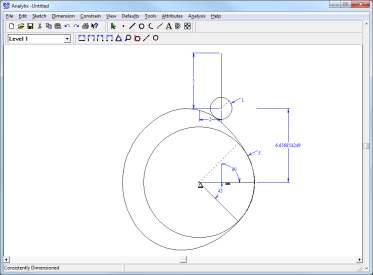 Then export DXF to CAD or coordinate data to NC/CAM software. 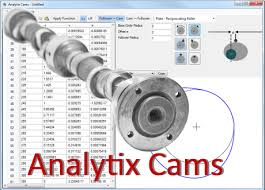 Here's how Analytix Cams is used to synthesize a cam profile. 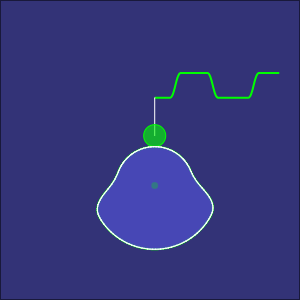 First, you choose the cam/follower type and such things as direction of rotation and follower offset. 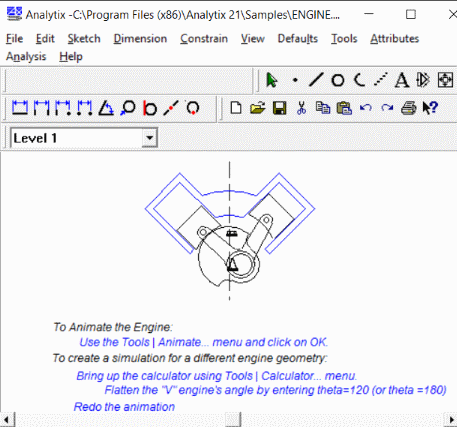 Then select a range of cam rotation, specify the starting and ending requirements for follower displacement, and the desired curve type (such as cycloidal, dwell, or constant acceleration).Analytix/Cams then automatically synthesizes the precise points in between, taking into account all the geometry involved in that particular cam/follower configuration. 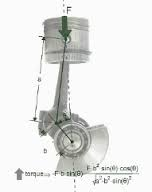 For example, you can specify that the follower angle should have a modified trapezoidal rise of 35 degrees between 0 and 90 degrees of cam rotation and so on. 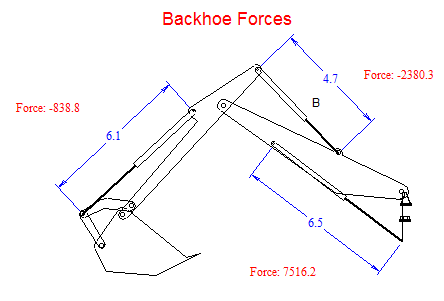 The advanced user always has the option of fine-tuning the data points manually (or inserting them from another source).Kinematic and other data is automatically calculated and displayed in both tabular form and graphical form: displacement, velocity, acceleration, jerk, radius of curvature and pressure angle. 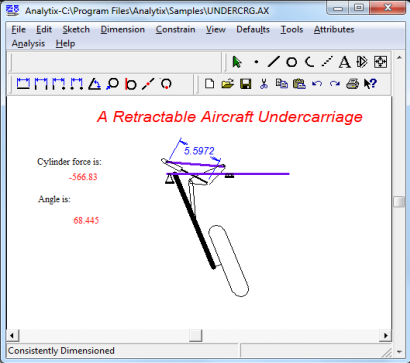 Any cam profile developed in Analytix Cams can also be used inside Analytix mechanical simulation software to analyze the cam motion in combination with actuators, linkages, or other parts of a larger mechanical system.Cam design and mechanism analysis can be done quickly in an affordable, integrated solution, letting you work back from required end-effector motion to cam/follower design or vice versa. 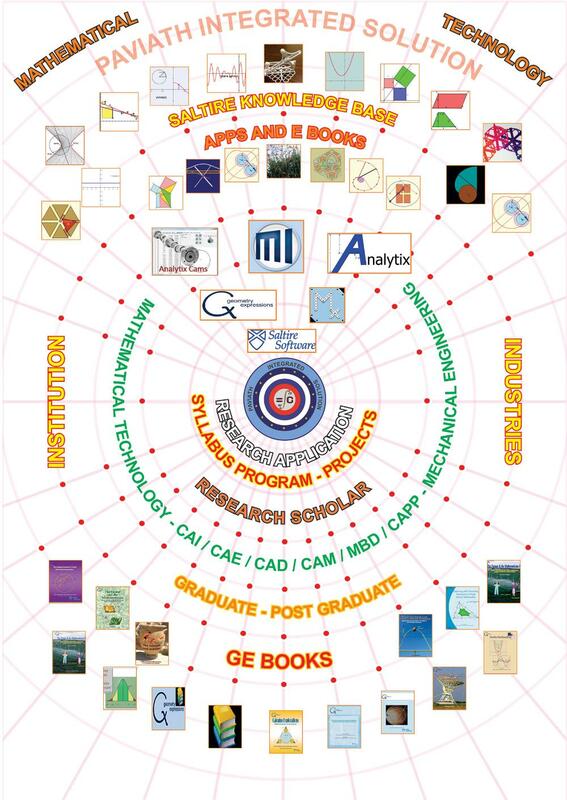 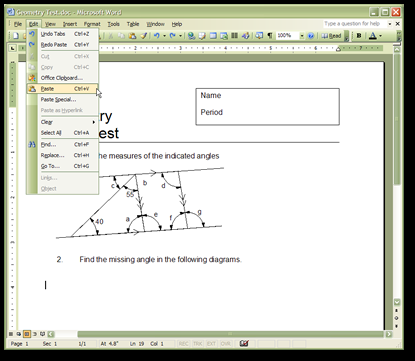 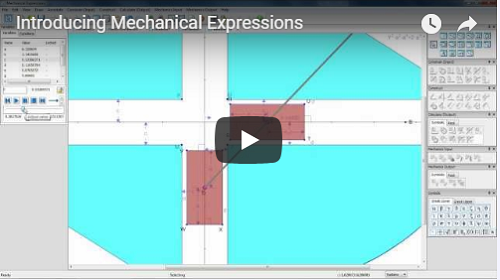 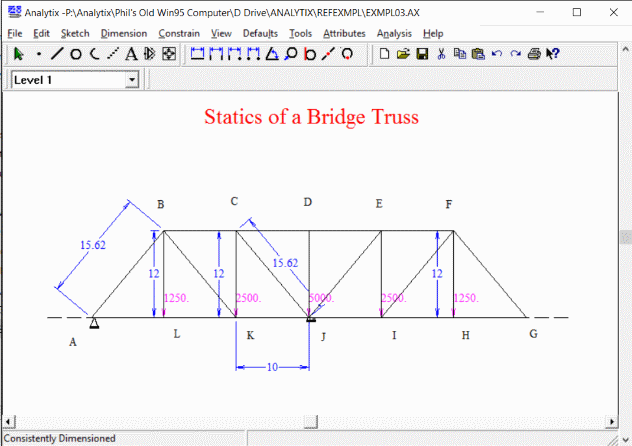 Mechanical Expressions lets you do sophisticated geometrical modeling and communicate the results as web pages or as mathematics. 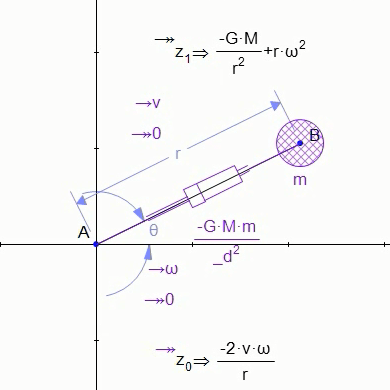 Add velocities and accelerations to your geometric model, and measure output velocities and accelerations, absolutely or relatively.